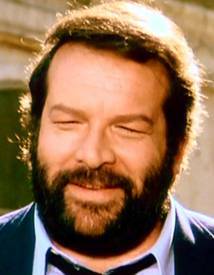 Bud Spencer was born as Carlo Pedersoli in Naples on 31 October 1929. 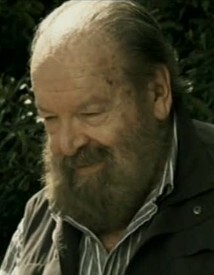 His mother was Rina "Rosa" Facchetti from Brescia, his father was the furniture manufacturer Alessandro Pedersoli. Just one year after he started school in 1936, Carlo made his first attempts at swimming and joined a swimming club. In 1943, the Second World War arrived Naples: Pedersoli's furniture factory was destroyed in air raids by the Allies. 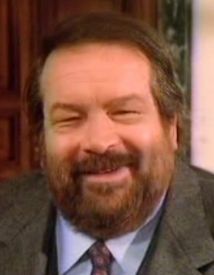 Naples became too unsafe and so the Pedersoli family, which since 1934 additionally consisted of Bud's sister Vera, moved to Rome the same year. 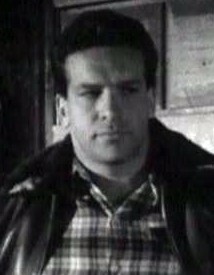 Carlo attended high school there and graduated above average in 1946. 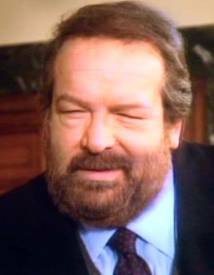 In the same year he also passed the entrance examination at the Roman University and began studying chemistry. 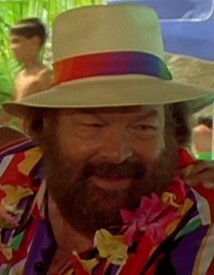 Shortly afterwards the Pedersoli family moved again, this time to Brazil. 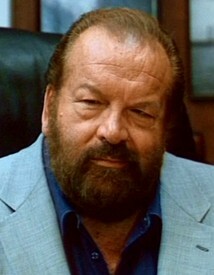 Bud worked there as an assembly line worker in Rio de Janeiro before returning to Italy in 1948. He quit his studies in chemistry and instead studied law (but never finished this study either, so other than often read, he didn't have a Ph.D. in law!) in order to have more time for swimming. The success in swimming came fast. He became Italian freestyle champion for the first time in 1949 and was the first Italian in 1950 to swim the 100m freestyle in under one minute (59:50 seconds on 19.09.1950). 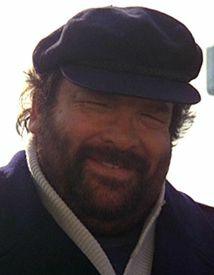 Until the abrupt end of his swimming career in 1957, Carlo had won six Italian championships and four other national titles in relay competitions. 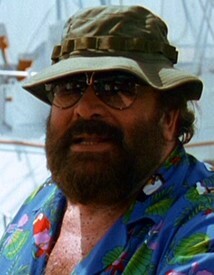 He also made it to the Italian national water polo team. 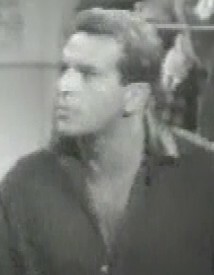 In between, around 1950, Carlo also came into contact with the film business for the first time. 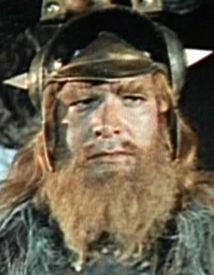 In 1949 he made a guest appearance in Quel fantasma di mio marito and two years later he had an extra role in the historical epic Quo Vadis. 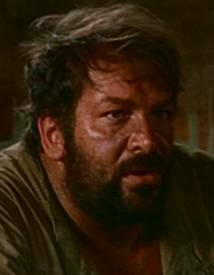 But even if in the 50s some small roles followed, he mainly was a swimmer in this time. 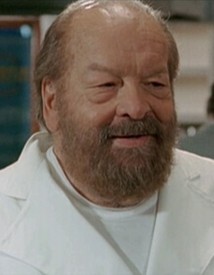 In 1952 he started for the Italian swimming team at the Olympic Games in Helsinki. In the qualification run for the 100m freestyle final he finished fifth. Four years later Carlo was back at the Olympics, this time in Melbourne. But also here was not fast enough for a medal- in the end he achieved aa respectable 11th place. A year later, after the Italian championships in 1957, Carlo finally ended his swimming career. He only finished second on his parade course and realized that his time as a champion is over after winning ten Italian championships before. Carlo went back to South America, more precisely to Venezuela. He later justified this step with the fact that he was on the verge of fame. So he could not stay with his comfortable live- with fast cars and countless women. 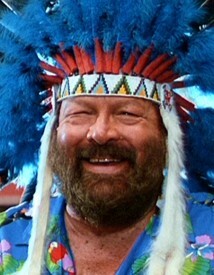 He wanted to find out who he really was: a brave man or a coward? In Venezuela, Bud works as a foreman for a road construction company, leading road construction projects in the Venezuelan jungle. Although he often longs to return to Italy during this time, he keeps up. 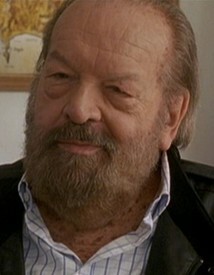 After his job as an assistant, he worked in a car factory in Caracas before finally returning to Rome in 1959. 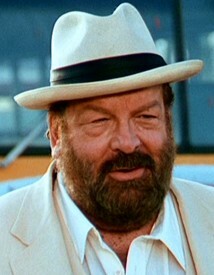 In the same year he also gets another film role. 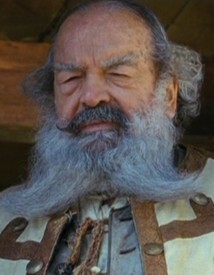 In the monumental film Hannibal he plays the tribal leader Rutario. 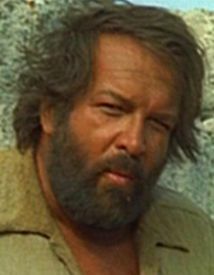 His participation in this film is particularly remarkable because his later film partner Terence Hill also had a role within the movie. However, the two did not yet get to know each other on set during the shooting. Finished 5th in the semi-finals. Finished 8th in the semi-finals. Finished 5th in the pre-run. Carlo Pedersoli is the first Italian to finish under one minute! On February 25th, 1960 Carlo married Maria Amato, who is several years younger than him. Only one year later their son Giuseppe was born, another year later their daughter Cristiana was born. 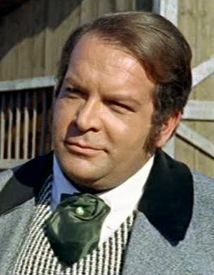 During this time Carlo professionally worked for the Italian record company RCA, for which he composed Neapolitan folk songs and other Italian songs from 1960 to 1964. 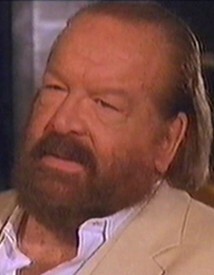 In 1964 Carlo terminated his contract with RCA and found a production company, which mainly produced documentaries for Italian television. 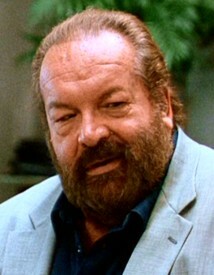 In the same year, Carlo's father-in-law Giuseppe Amato, a successful and influential film producer, dies. 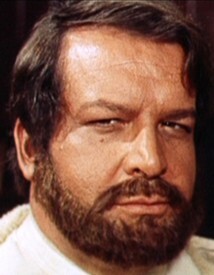 Despite a well-known producer as a father-in-law, Carlo did not see his future in acting at that time. 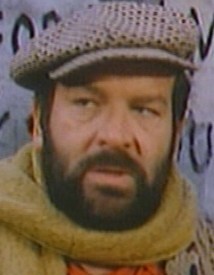 But then, in 1967, director Giuseppe Colizzi contacts Carlo. 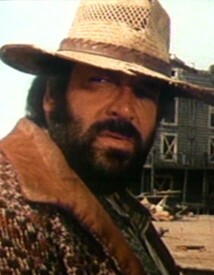 He was a friend of his wife and offered Carlo the leading role in his next film, the Italo-Western God forgives - I don't! (Dio perdona... io no!). 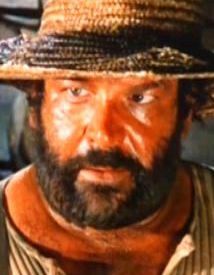 He needed a "giant" for this film and Carlo's height of 1.94m and his weight would fit very well. Carlo needed the money and accepted. 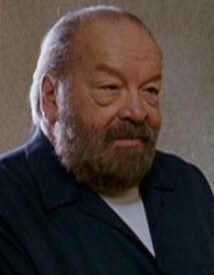 But because he didn't want to jeopardize his reputation because of one "prank movie", he growed a beard so his friends wouldn't recognize him, which suited him well. Consequently he was asked to adopt a new name for the film. 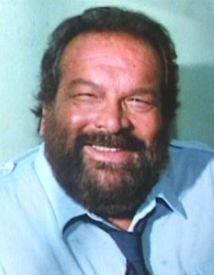 Since American names simply had a bigger impact with regards to marketing effect, Carlo chose a combination of his favourite actor Spencer Tracy and his favourite beer brand Budweiser as his new name: Bud Spencer was born. 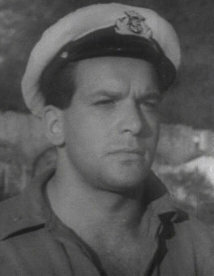 The second role in the film was cast by Colizzi with Mario Girotti, who was younger but much more experienced in the film business. 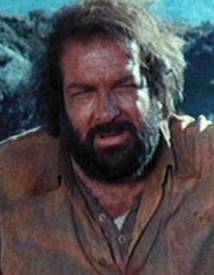 He also had to choose a new name for this film and from now on called himself Terence Hill. Bud didn't expect to start a real acting career at that time and Terence is also rather sceptical because the great time of Italo westerns was already coming to an end. But the two were mistaken. The audience liked the new duo and the film became a major success. 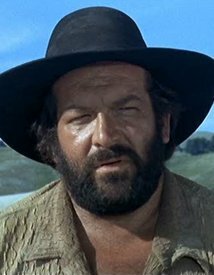 So it was only logical that Colizzi hired them for two more sequels (Ace High (I quattro dell'Ave Maria, 1968) and Boot Hill (La collina degli stivali, 1969)), which also run successfully. 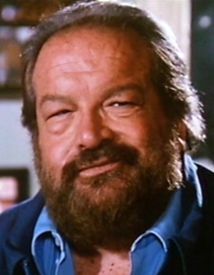 In addition to the three Western movies with Terence Hill, Bud Spencer also shot some films during this time without his new partner, e.g. 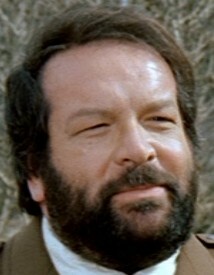 Beyond the Law (Al di là della legge, 1967) and The Five Men Army (Un esercito di 5 uomini, 1969). 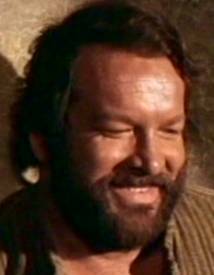 But then Bud Spencer achieved the big breakthrough together with Terence Hill again. 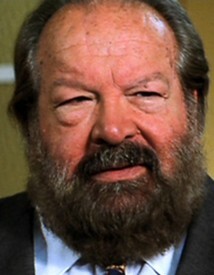 In 1970 the former cinematographer Enzo Barboni, who now called himself E. B. Clucher, engaged the successful duo. 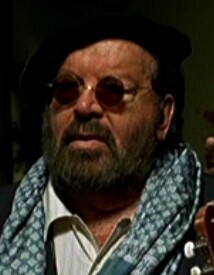 In his new film he wanted to expand the humor already presented in the Colizzi trilogy in the Italo-Western. 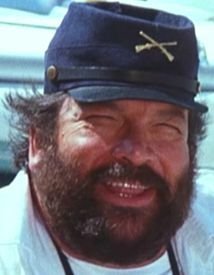 The cast of Bud Spencer and Terence Hill proved to be a real stroke of luck. 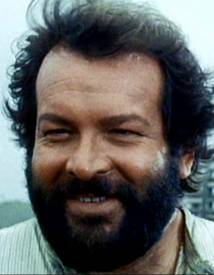 They call me Trinity (Lo chiamavano Trinità..., 1970) became a great success with its harsh, sometimes snappy lines and comic fights. Only one year later, in 1971, the trio Clucher, Spencer and Hill even managed to top this success. 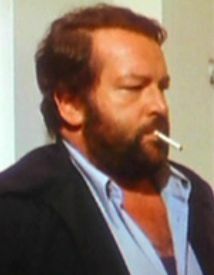 The sequel to They call me Trinity is called They still call me Trinity (... continuavano a chiamarlo Trinità, 1971) and attracted even more people to the cinemas. In Germany to this day, this film is still the most successful of the two., but it is also due to a very successful revival with new dubbing. With a total of 12.15 million viewers, the film is currently still the list of the tenth most successful films of all time in Germany. 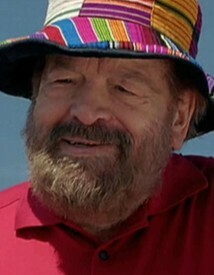 In 1972, his professional life was topped with new private happiness. Bud's second daughter Diamante was born. 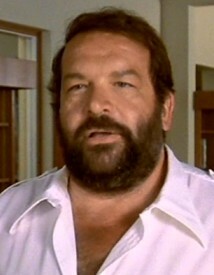 Also professional success has only just begun for Bud Spencer. 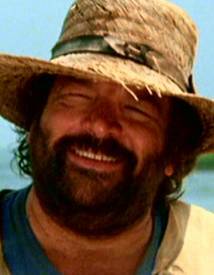 In the 70s he shot seven more very successful movies with his congenial partner Terence Hill and could achieve some successes in between. 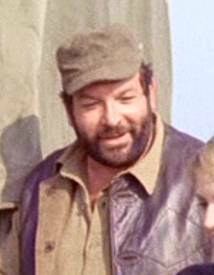 In 1973, for example, he took on the role of comissario Rizzo for the first time in Flatfoot Cop (Piedone lo sbirro, 1973). 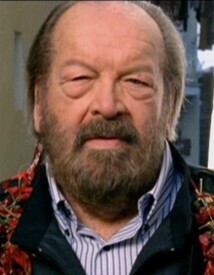 The film based on his own idea. 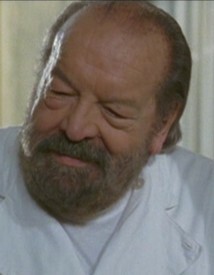 Until 1980 he played the role of the inspector with the unconventional methods and the heart in the right place three more times. 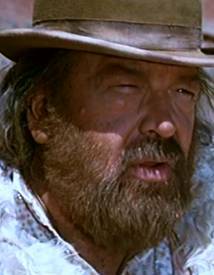 Bud calls this role in this time also his favourite role which proves the special meaning to him choosing this role out of 21 movies in the 70s alone. 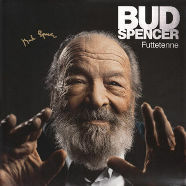 Despite being very busy during at thas time, Bud still found time to compose. 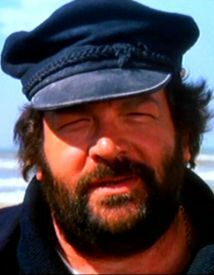 So he could be seen for the first time as a singer in his film They called him Bulldozer (Lo chiamavano Bulldozer) from 1978. One year later he sings the title song Grau Grau Grau of the film I'm for the hippopotamus (Io sto con gli ippopotami). 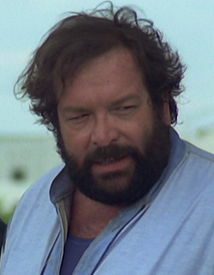 Also in the late 1970s, Bud Spencer obtained his helicopter and pilot license. 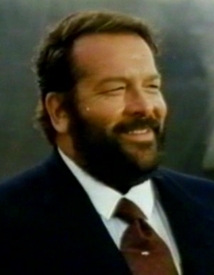 In 1981 he even founded his own airline, Mistal Air, which started operations in 1984, was later sold by Bud and today belongs to the Italian Post Office. 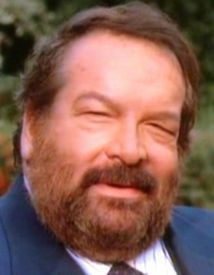 Bud was also inventive in other areas, for example, he has patented a walking stick with built-in table and chair, an electric toy mouse and a disposable toothbrush with integrated toothpaste. He held a total of 12 patents. 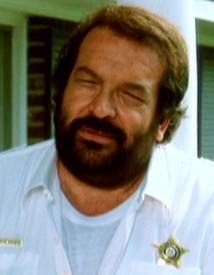 In the 80's Bud shot four more successful movies with his partner Terence Hill. 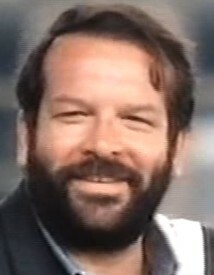 In 1984, the two of them were even shown twice on the screen. In Double Trouble (Non c'è due senza quattro) they play the doubles of two billionaires and also the billionaires. 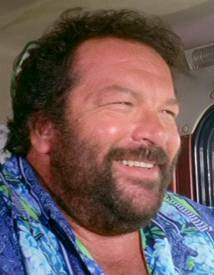 A year later, in 1985, after their sixteenth joint film (Hannibal not included) Miami Supercops (Miami Supercops (I poliziotti dell' 8ª strada)), Bud and Terence finally went different ways, as it was foreseeable that this kind of comedy would no longer be successful in these times. The two friends turned to solo projects. This was the end of a unique success story. 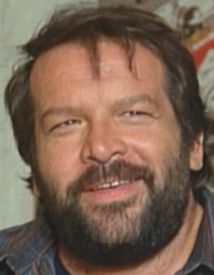 With their films, Bud Spencer and Terence Hill attracted over 100 million people in German cinemas alone, a success that is still unparalleled today. 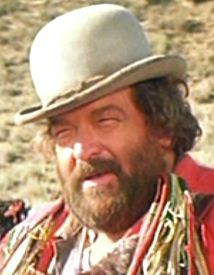 Bud then shot the fantasy comedy Aladdin (Superfantagenio, 1986) in which his youngest daughter Diamante also appeared and then Bud tries something new again, namely a television series. 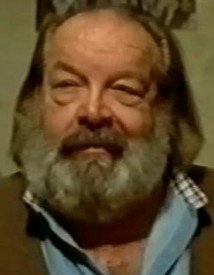 In 1988 he appeared in 6 episodes of the series Big Man, for which he also collaborated on the script. 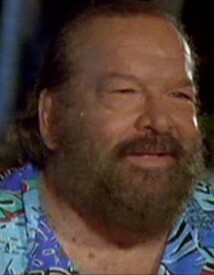 The series was realised by flatfoot director Steno, who unfortunately dies during the making of the movie. 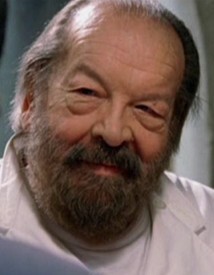 In 1990, E. B. Clucher finally brought him back to the cinema with Speaking with the Devil (Un piede in paradiso). 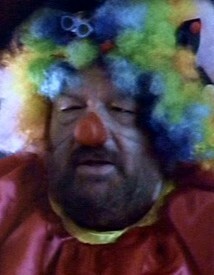 Bud's daughter Diamante also appeared in this film, playing the role of his daughter. 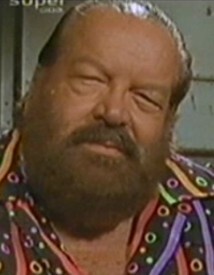 The next television series followed in 1991 and 1992. 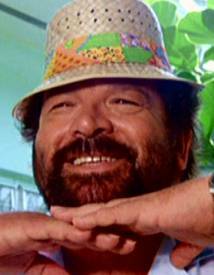 In Extralarge, Bud Spencer was catching gangster as Detective Extralarge in sunny Florida. 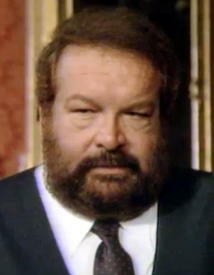 His son Giuseppe was involved in the scripts and in the production of the very successful series in Italy. 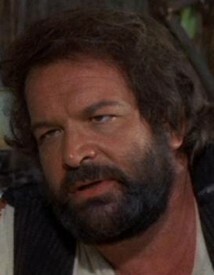 In 1994 Bud finally persuaded his old friend and permanent partner Terence Hill to come back to the camera together. 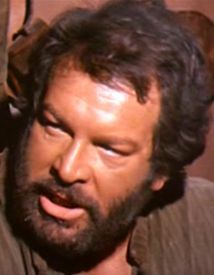 Directed by Terence Hill, the once successful duo shot the western The Night before Christmas (Botte di Natale). 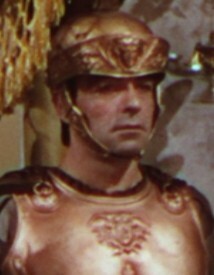 The script was written by Terence's son Jess, while Bud's son Giuseppe was involved as producer. BBut the two didn't make the great comeback. The film disappointed at the box office and Bud started the next series. 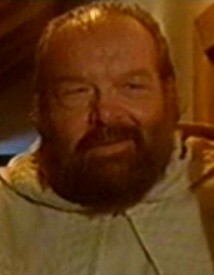 Together with Philip Michael Thomas, his partner from the first season of Extralarge, Bud plays in We are Angels (Noi siamo angeli) a hoodlum disguised as a monk who fights against injustice. 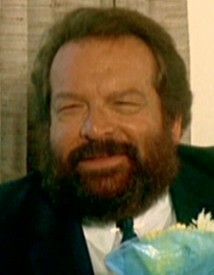 Together with Philip Michael Thomas Bud also sings the Italian title song of the series, which unfortunately cannot be heard in the German version. Afterwards, Bud took it a little easier . 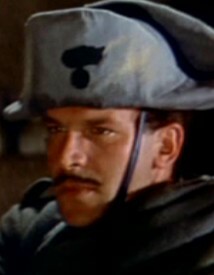 He could be seen almost only in supporting roles in this time, e.g. as a blind singer in Fuochi d'artificio. 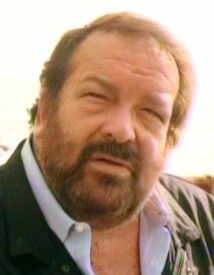 2001 was the year of Bud Spencer's return to Italian television. 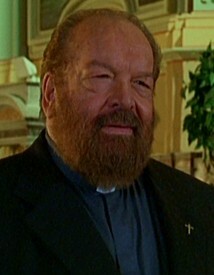 After the great success of his friend Terence Hill in the role of the priest Don Matteo, Bud also slipped into the role of a clergyman and shoots the pilot film for the planned series Father Hope, again with the participation of his son Giuseppe in production and script. 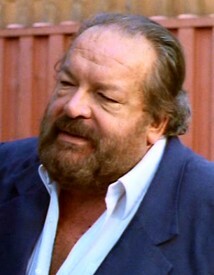 The Italian broadcaster RAI, which bought the rights to this pilot film, however, made the audience wait for more than four years before broadcasting the episode on 28 December 2005. And although the ratings for this broadcast were very good, it's probably too late to follow up on the pilot with another series. In the following years Bud suffered from severe health problems. He was given an artificial metal hip and his eyes inflamed. He ignored the first signs of inflammation just due to his own convenience, as he later said, and went to the doctor almost too late. 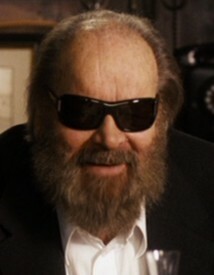 However, the subsequent eye surgery was successful and Bud could continue his film career. 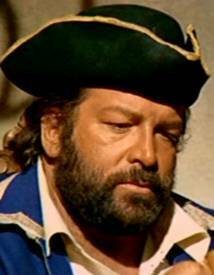 In 2003 Bud tooks the role of an old pirate captain in Ermanno Olmi's Cantando dietro i paraventi, a role that Bud described as his first role as a real actor. 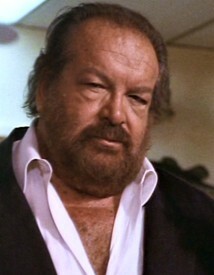 Bud was already 74 years old. 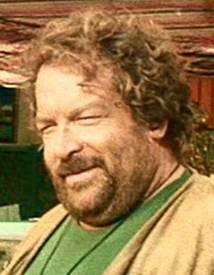 He said he didn't see himself as an actor before. 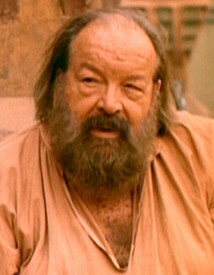 He until then just represented some type of man which wasn't too difficult with mostly up to 25 takes per scene. 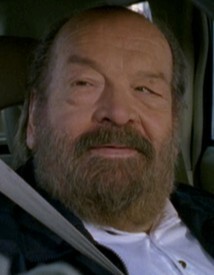 Just in time for Bud's 78th birthday on October 31, 2007, the shooting of Bud's last feature film began. 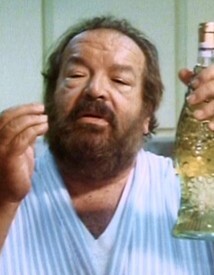 Right the night before Bud’s birthday the shooting for the German production Mord ist mein Geschäft, Liebling (translated: Killing is my Business, Honey, in Italy: Tesoro, sono un killer)began in Berlin, in which Bud can be seen in a supporting role as an old mafia boss. 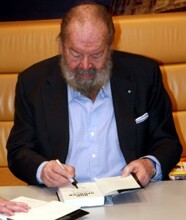 Due to various postponements the film had his premiere on February 26, 2009, so Bud in between had time for another film project in 2008 and started the shooting for Pane e olio (translated: Bread and Oil) in the spring of this year. 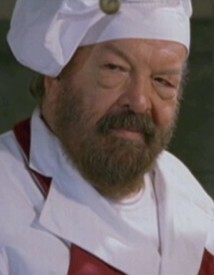 The almost 44-minute fairy tale, in which Bud, as the main actress's paternal friend, can only be seen in flashbacks of her childhood, celebrated its premiere on December 7, 2008 on the Italian pay TV channel Alice. In January 2009 a new TV series was announced. 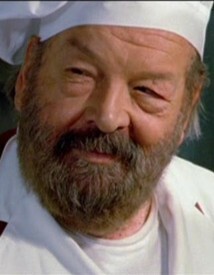 In I delitti del cuoco (translated: The Crimes of the Cook), Bud Spencer took on the role of a retired inspector, who settled on the tourist island of Ischia and opened a restaurant there. 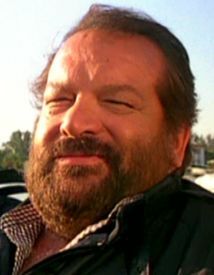 The shooting in Ischia began in May 2009 under the direction of Extralarge director Alessandro Capone. 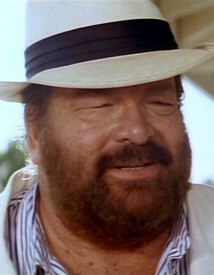 The series was produced by Bud's son Giuseppe. 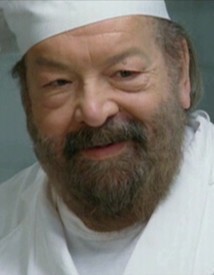 The series was first broadcasted on the Italian private channel Canale 5 on 9 May 2010. 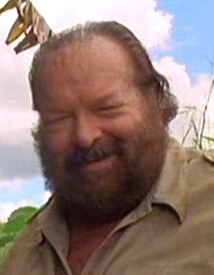 Two days earlier Bud Spencer would have a special honour to share. 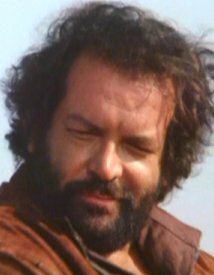 Together with Terence Hill, he was awarded the "David di Donatello", Italy's most important film prize, for his lifetime achievement in Rome. 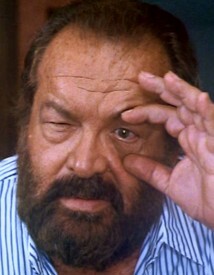 On this occasion, Bud Spencer and Terence Hill have been together again after a long time, even if only on one stage. However, another common film is no longer an issue. 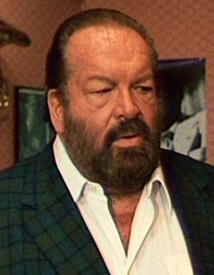 After several speculations about a funny version of "Dr. Jekyll and Mr. Hyde", the question of a last joint film was then answered by Bud Spencer with the remark that he was too old for this kind of roles and therefore he could not meet the expectations of the audience. 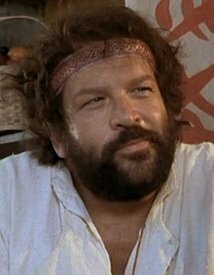 On 27.06.2016 news went out to the countless Bud Spencer fans globally, lines they never wanted to hear: Bud Spencer is dead. He fell asleep peacefully, with his family closeby, in Rome on that 27th of June. 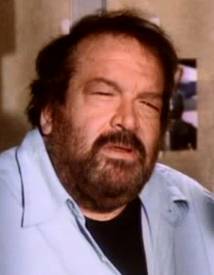 In the evening, the Pedersoli family announced on Bud Spencer's Facebook page that Bud has now embarked on his last journey, and shortly afterwards all other media will also report about it. 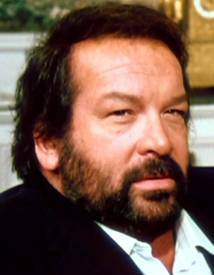 The sympathy is enormous, many film and television celebrities commemorate Bud Spencer and Bud Spencer's Facebook account reached countless condolences from all over the world. 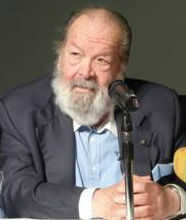 The program was immediately rescheduled on German, Italian and Hungarian television, broadcasting his movies over weeks. 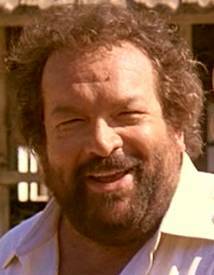 The great Bud Spencer has passed away, but he will live on in the hearts of his fans forever. A színész adatlapját ennyien nézték eddig: 240422.